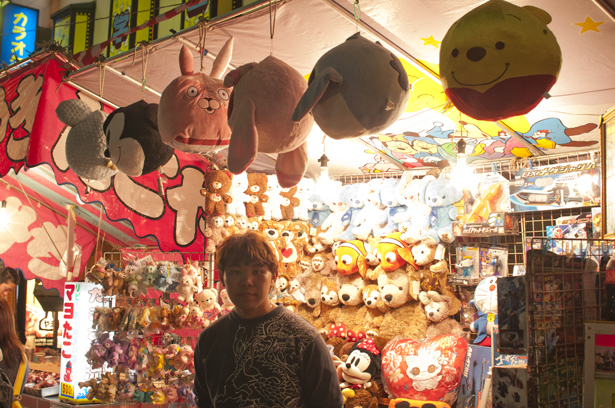 Posted on 2012/10/24. 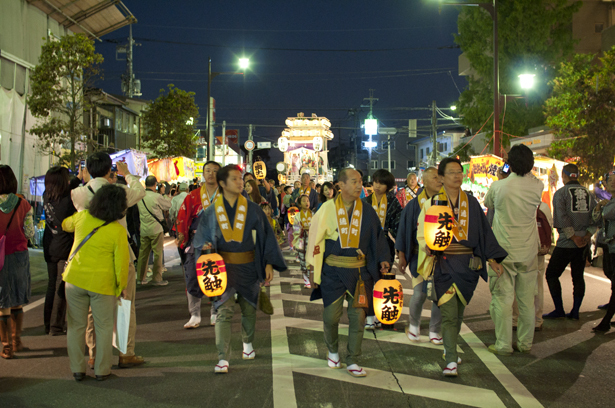 Used Event, Festival, Traditional. 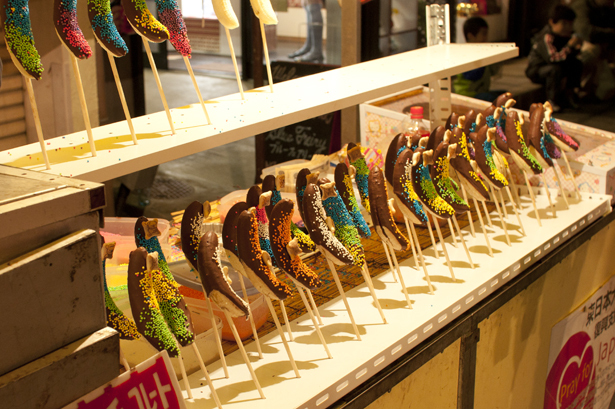 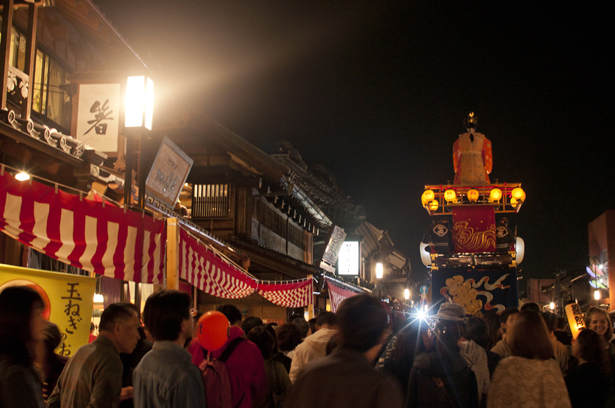 Last weekend, I visited Kawagoe Matsuri (川越まつり). 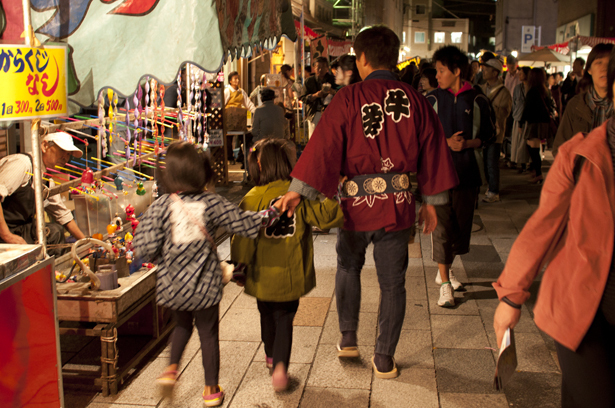 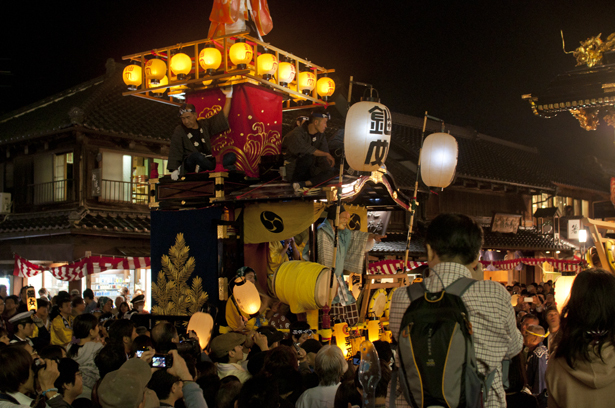 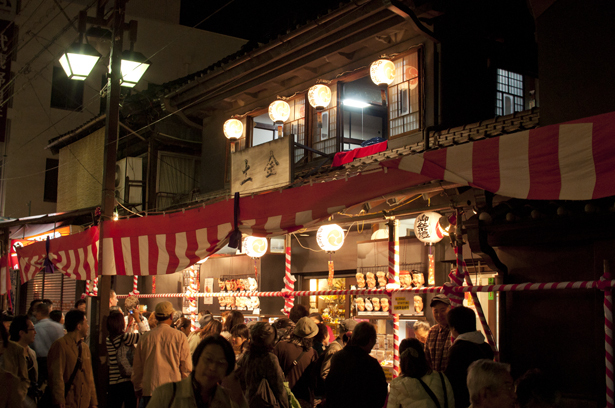 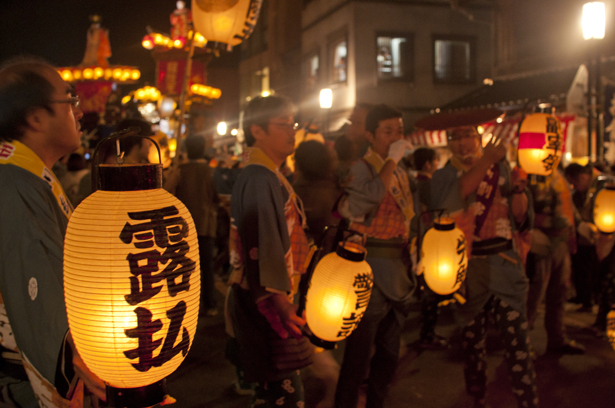 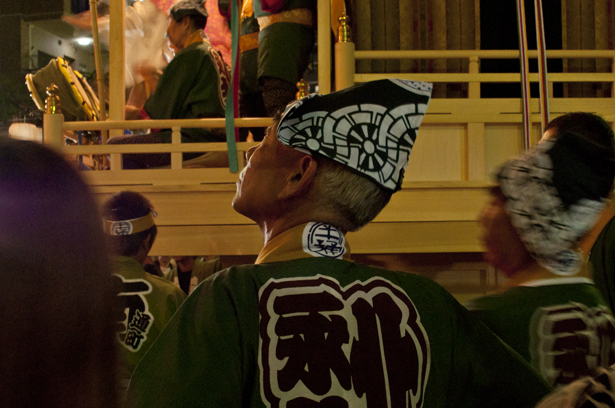 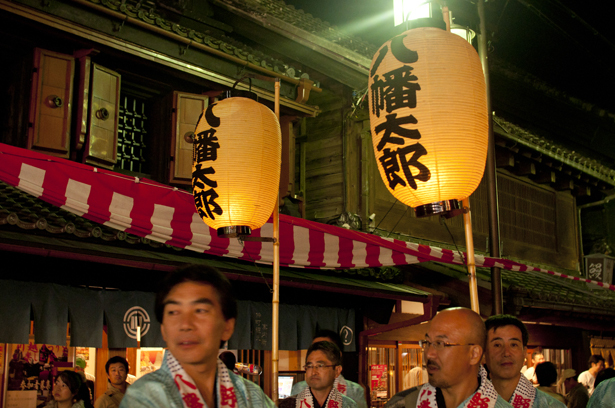 Kawagoe Matsuri is known as one of three biggest festivals in Kantō region. 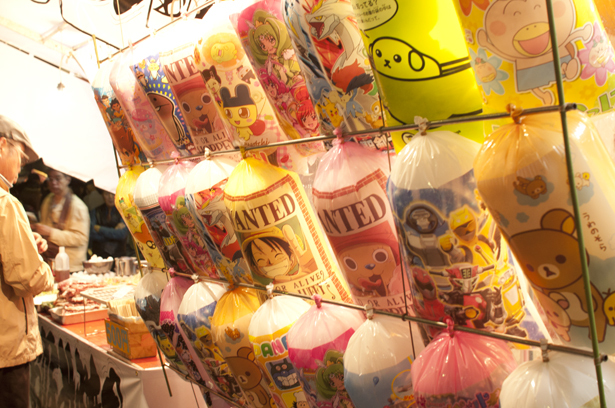 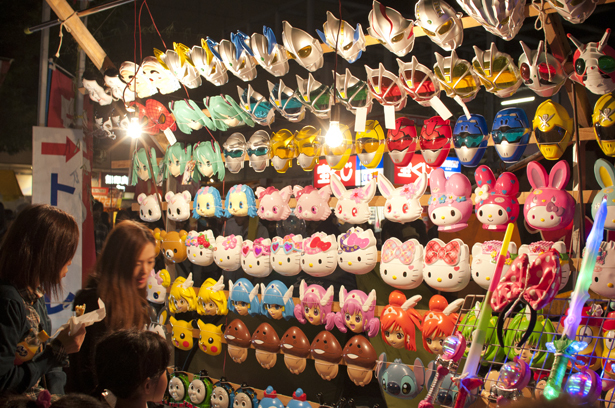 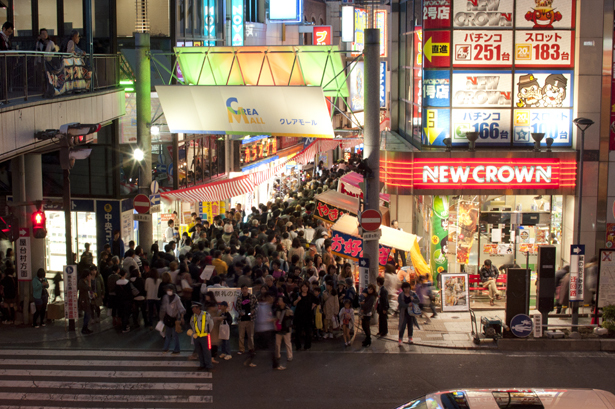 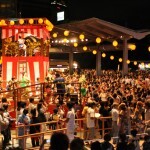 It attracts over 800 thousand people annually from the third Saturday to Sunday in October. 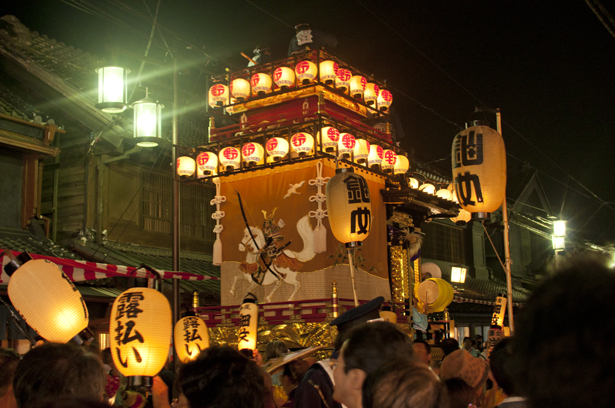 Kawagoe is the place where I grew up, so I have been familiar with Kawagoe Matsuri. 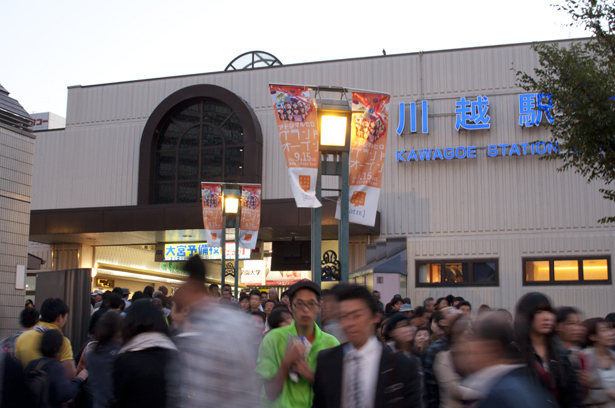 Kawagoe is in Saitama prefecture which is next door to Tokyo. 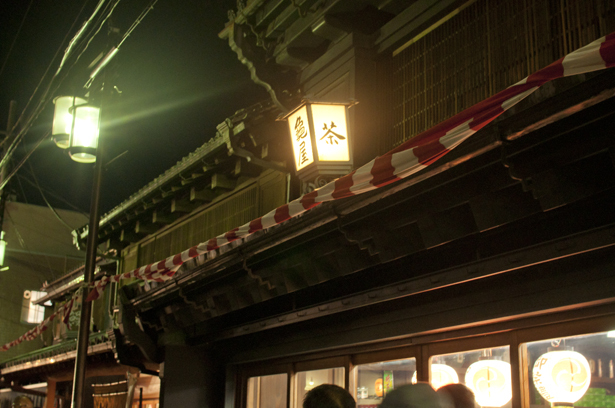 It takes about an hour from central of Tokyo. 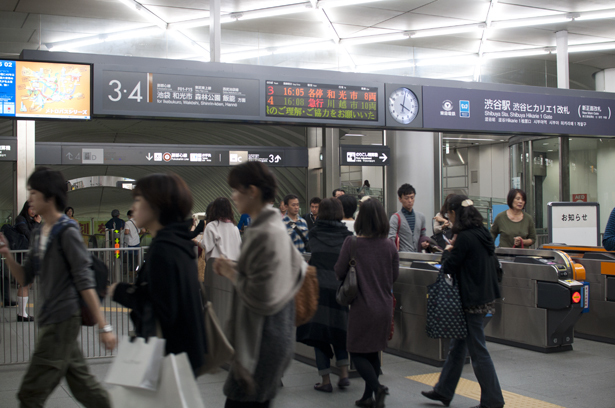 You can get there without transferring by Tokyo Metro Fukutoshin line from Shibuya. 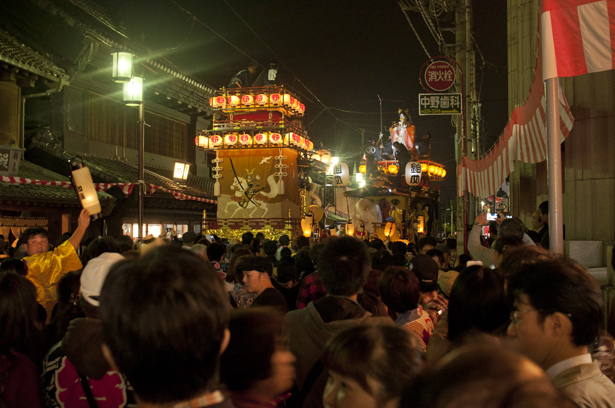 Kawagoe Matsuri is held from morning, around the station is full of people. 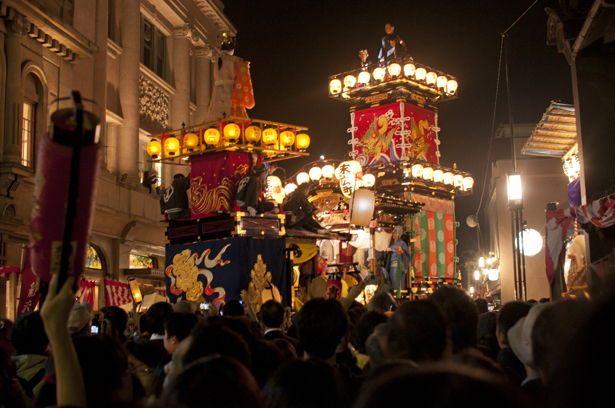 One float (山車) was standby around the station. 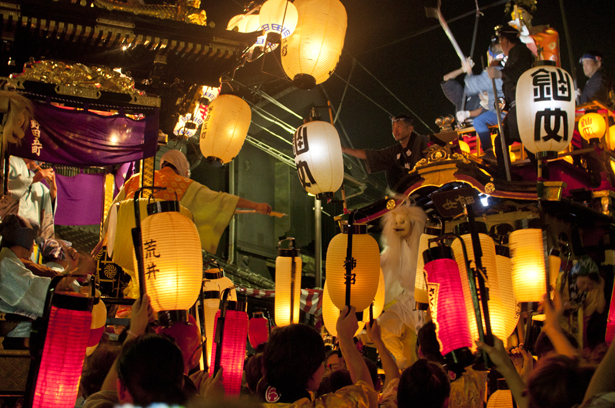 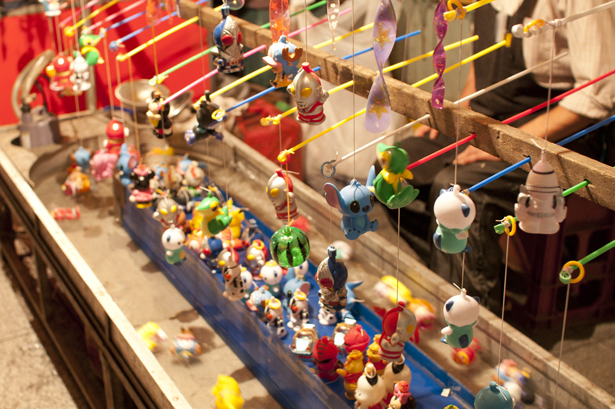 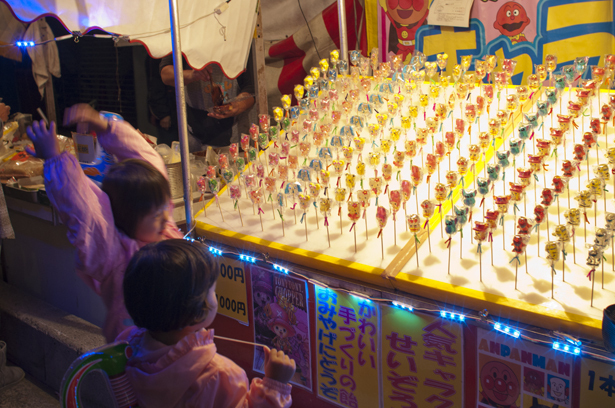 At the Kawagoe Matsuri, a total of 29 gorgeous floats are drawn around the city. 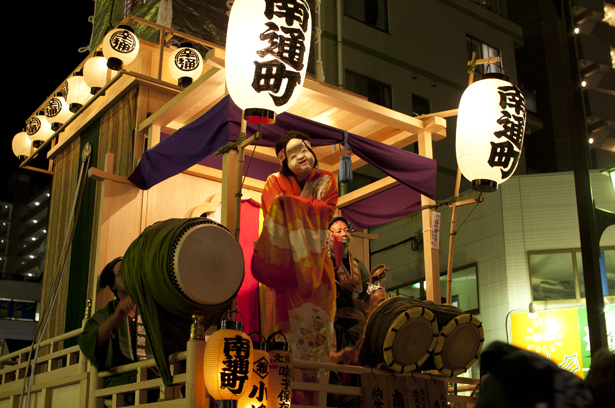 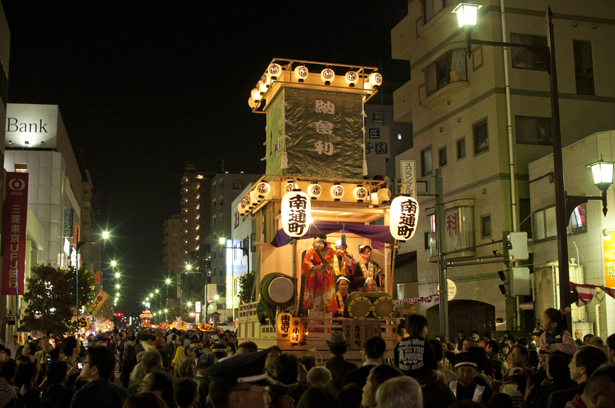 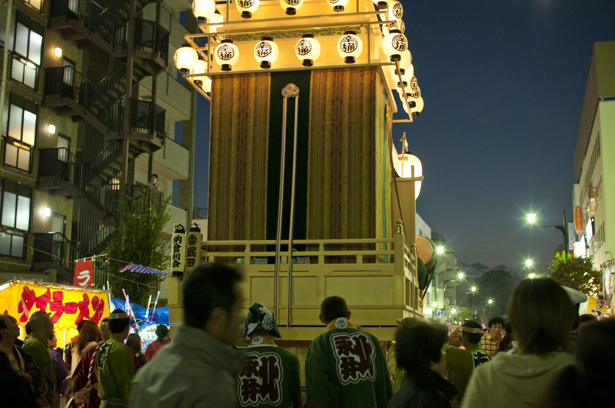 A float is going to the central of the festival. 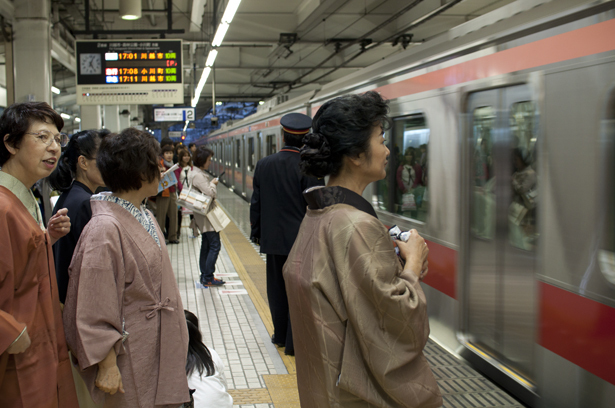 Everyone is waiting! 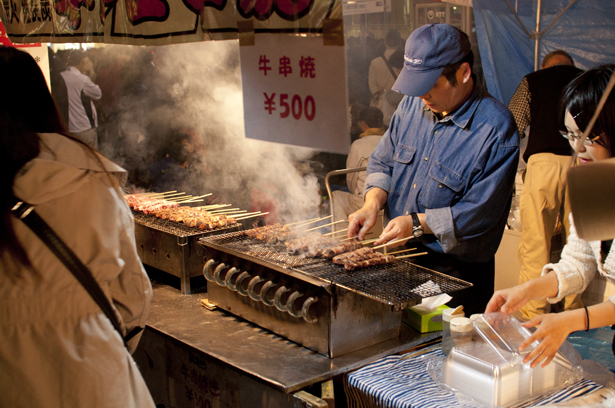 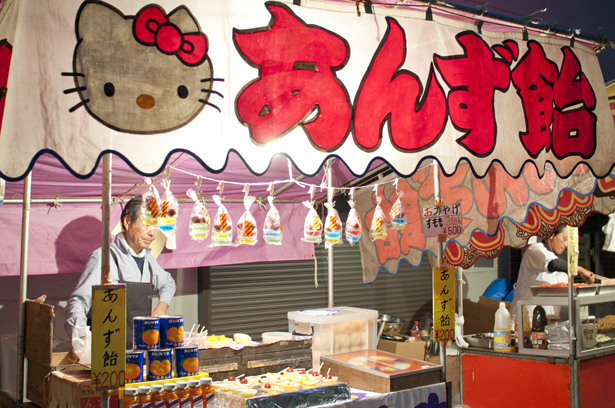 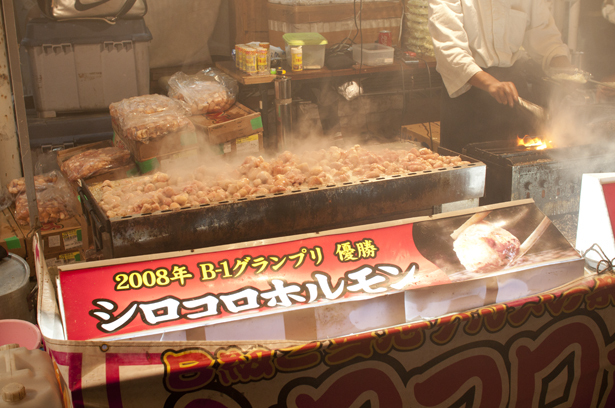 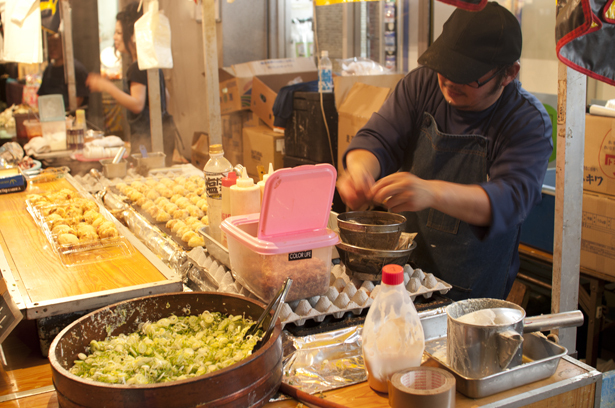 Beer and Takoyaki (たこ焼き) are staple of Japanese festivals! 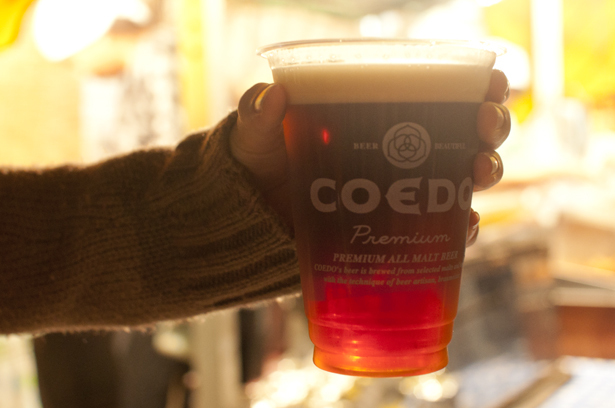 Kawagoe has the original beer. 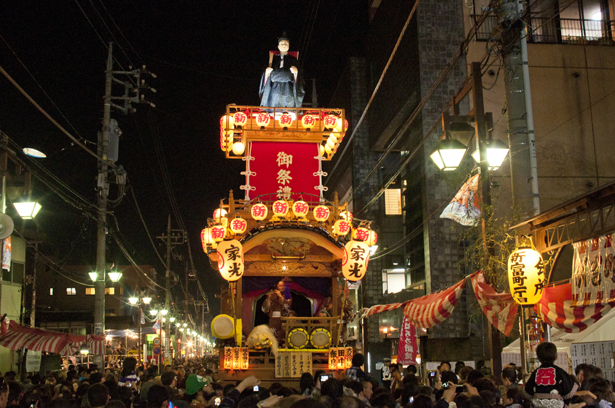 At the central of Kawagoe, there were so many people and floats! 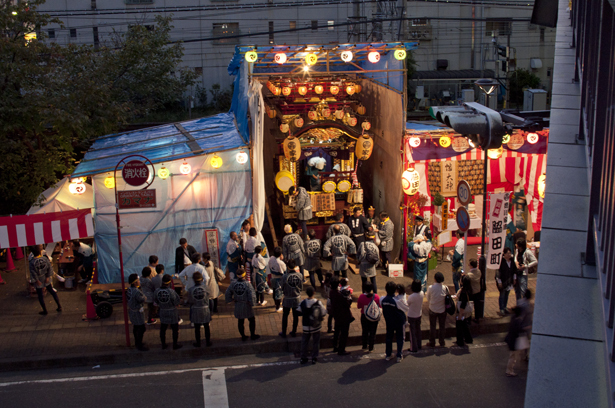 Each float pop their top in and out of the roof. 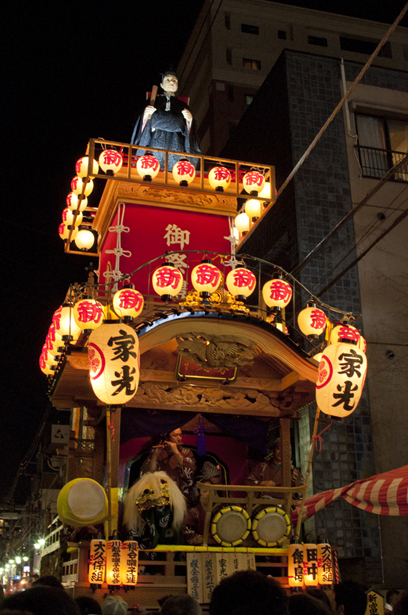 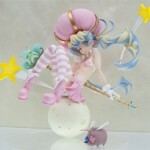 On top of each float there are dolls under which is a round stage. 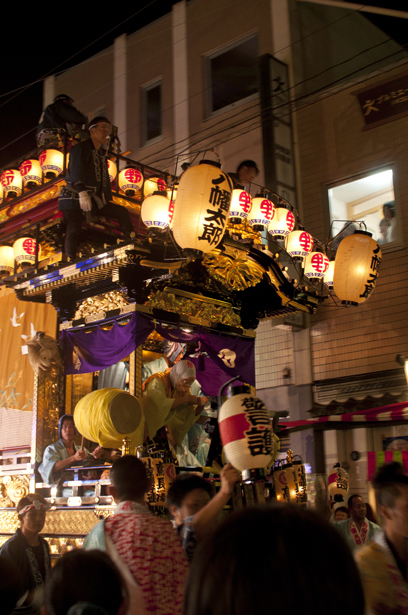 The floats are made of lacquer and gold leaf and have exquisite sculptures of Zelkova trees on them. 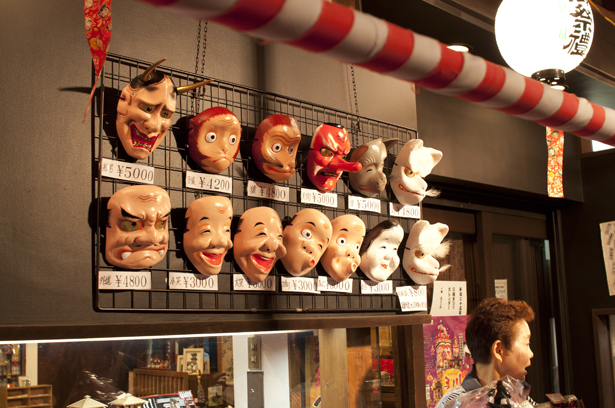 Half of these are appointed as cultural treasures. 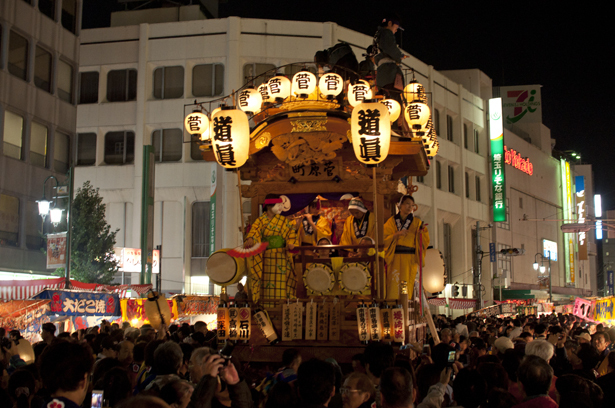 The festival becomes exciting because of the cheers of the people pulling the floats and the spectators. 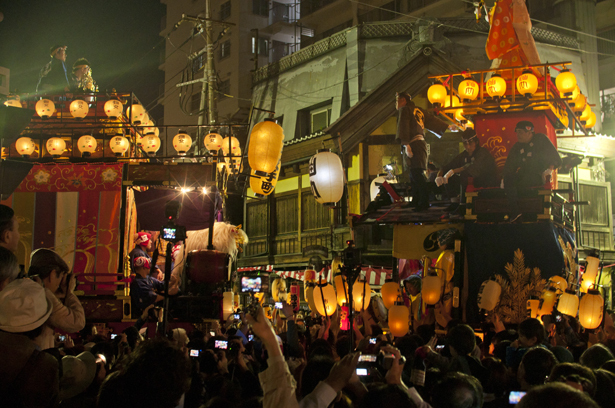 The floats proceeding down the streets lined by warehouses are lit up in the daytime as well as nighttime by lanterns. 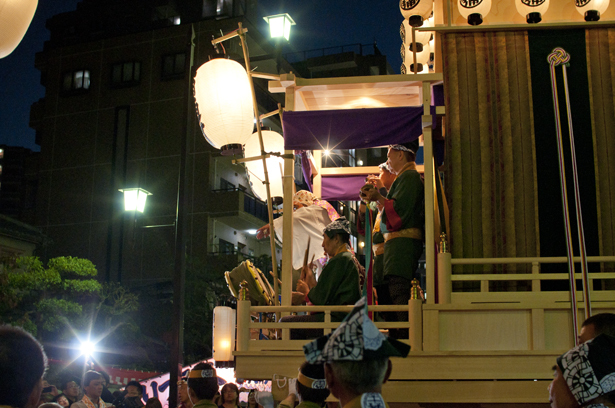 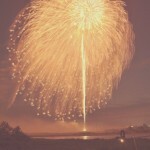 This festival has not changed from more than 360 years ago.